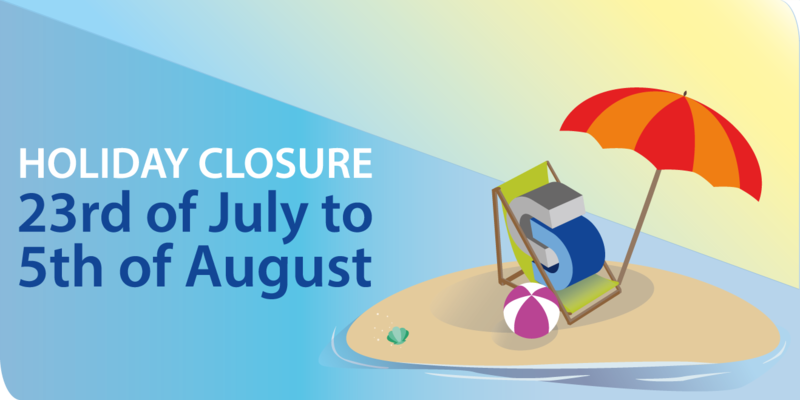 We will be closed from the 23rd of July to the 5th of August. We hope that this holiday season finds you enjoying every single minute of it. We are aware that this is the time of the year everyone is looking forward to and we are no different from you in that regard. Since we would like to spend some quality time with our families and friends, holiday closure period is ahead of us. We will be closed from the 23rd of July to the 5th of August due to the holidays. Please note that all queries and orders posted at least 15 work days before the 23rd of July or during holidays will be processed once we are back at the office. Please accept our apology for the inconvenience this may cause. We are thankful for your understanding.